Authorities are investigating a bank robbery in Metamora on Wednesday. Fulton County Sheriff Roy Miller reported that at approximately 11:56 a.m., the Fulton County Sheriff’s Office was notified of a hold up alarm from the Metamora State Bank in Metamora. 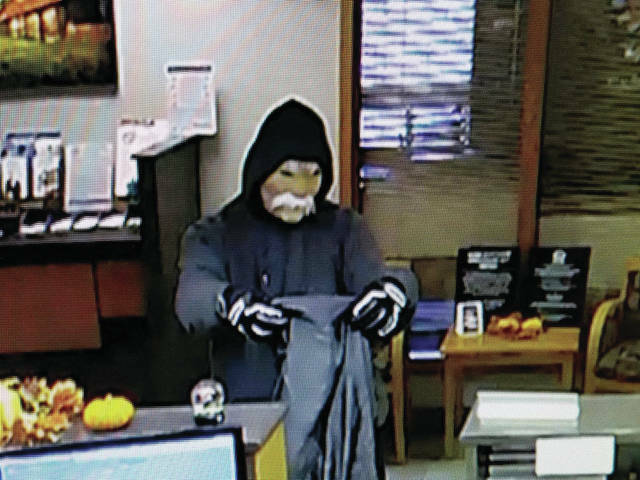 Deputies arrived and were informed that a subject around 6-foot tall, 200 pounds, came into the bank wearing a gray hooded sweatshirt and a mask to cover his face. The suspect did not produce a weapon, and left with an undisclosed amount of cash. Toledo FBI and Fulton County Sheriff’s Office are continuing the investigation. No other information is available at this time. If anyone has any information, they are asked to contact the Toledo FBI at 419-243-6122 or Fulton County Crime Stoppers at 800-255-1122.